Choose a new, solid ladder with 2 steps for your 2.50 m trampoline. Our ladder is a very practical accessory for your trampoline, allowing you to gain access to the jumping mat, quickly and easily. 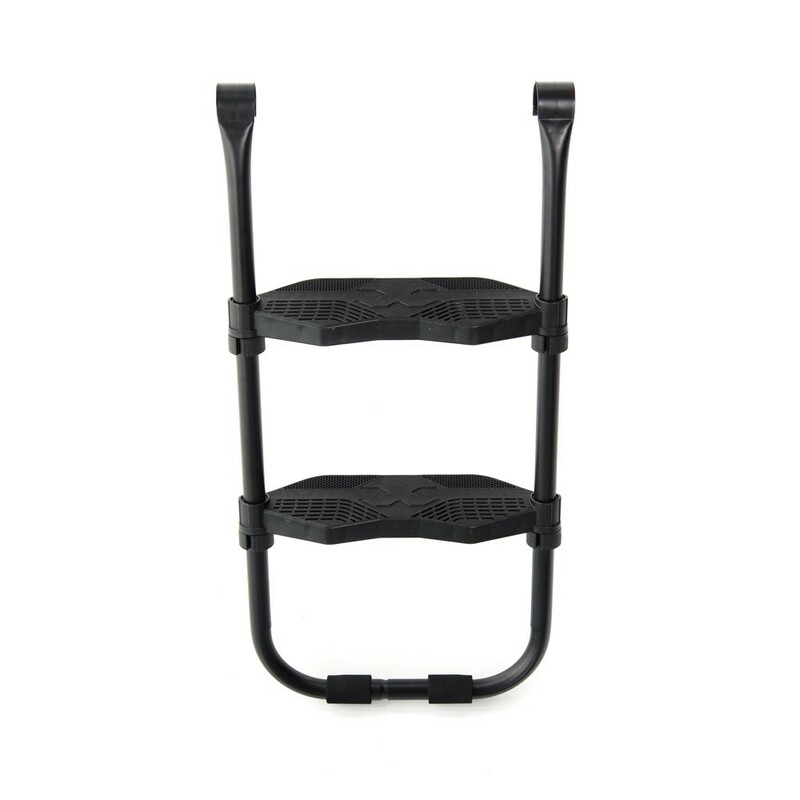 Thanks to this ladder, young children will no longer have to grip the frame pad to climb up. As for getting down, they will no longer have to jump off the trampoline and risk injuring themselves when they hit the ground. 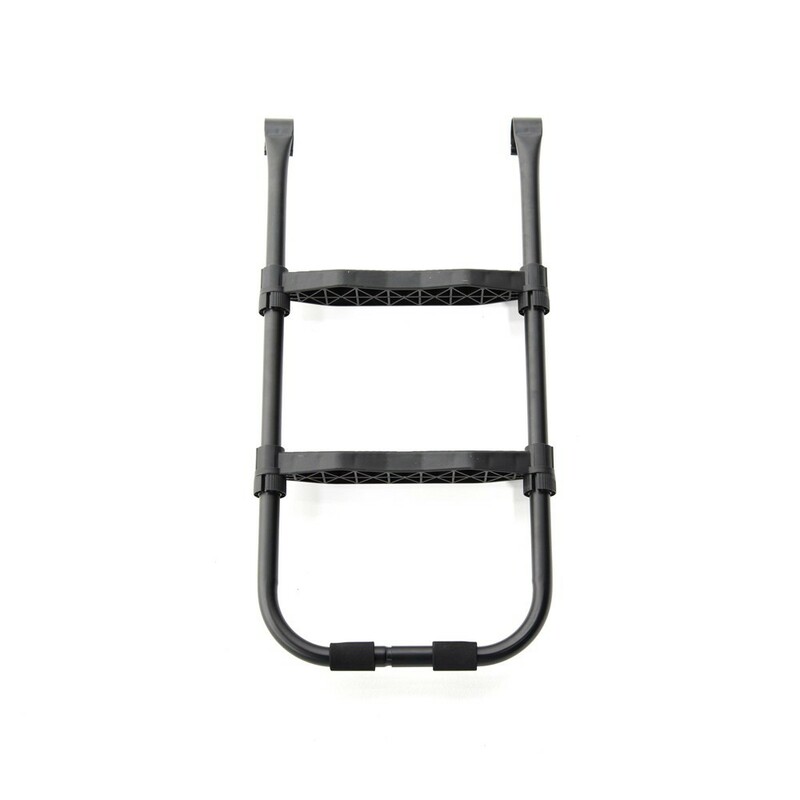 - Our ladder is designed for adults and children. - Just like our galvanized trampolines, it can remain outside all year round. You do not therefore have to find space in your garage to stock it. - It is adapted to our Oxygen 250 and Jump’Up 250 trampolines. 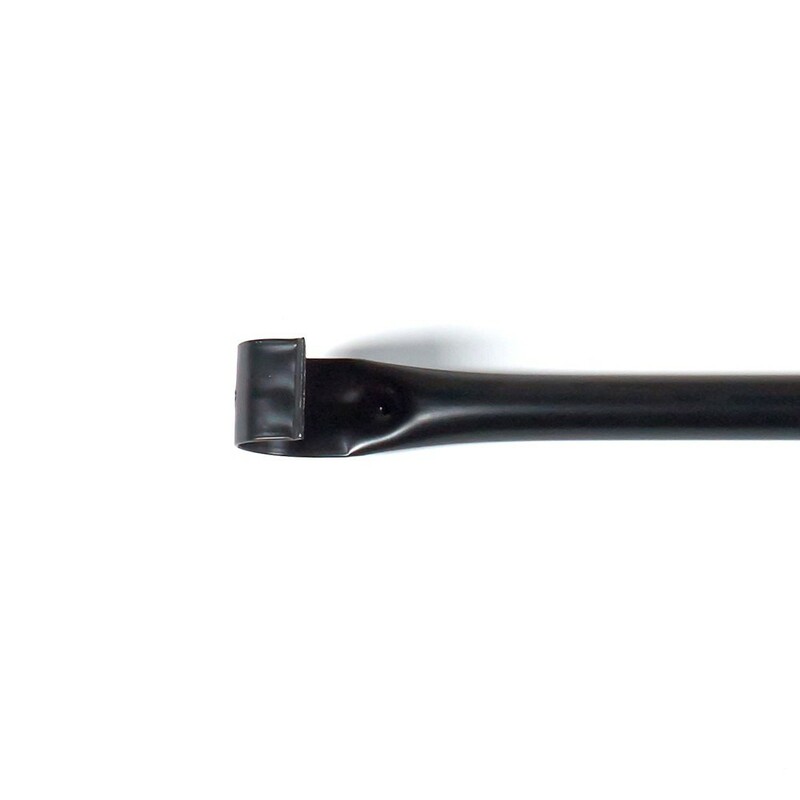 - This ladder can be installed on any trampoline of 60 to 69 cm in height. - This ladder has two anti-slip steps that are 7.5 cm large, giving sufficient width and sufficient space to place your foot squarely on it. 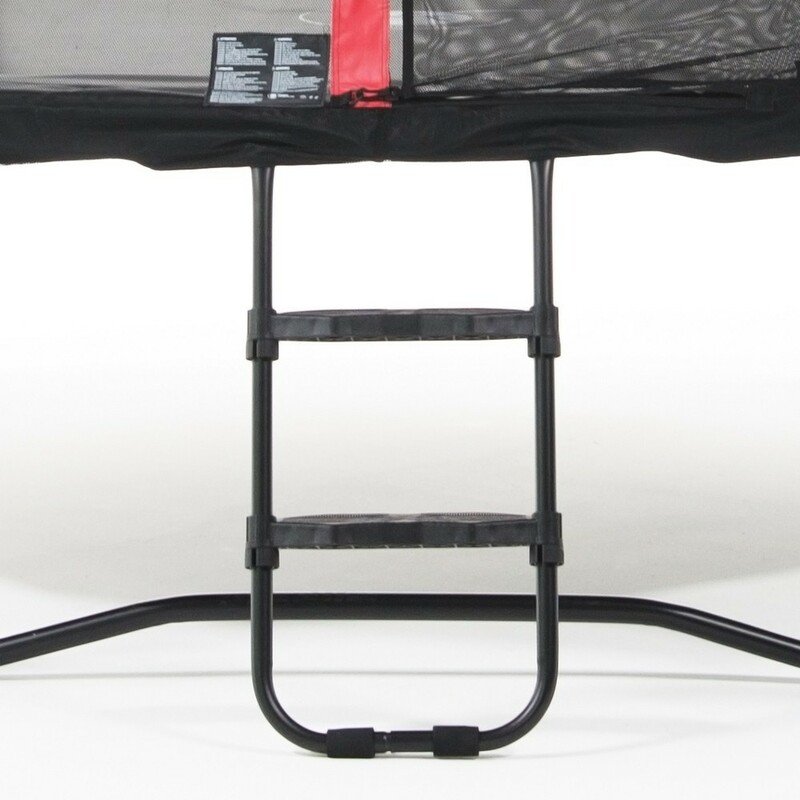 Our ladder also has nonslip pads so that it is safely held in place once placed on the trampoline. - It is always possible to take the ladder away from the trampoline if you wish to stop young children using it unsupervised. A single person can easily put it back in a couple of seconds.